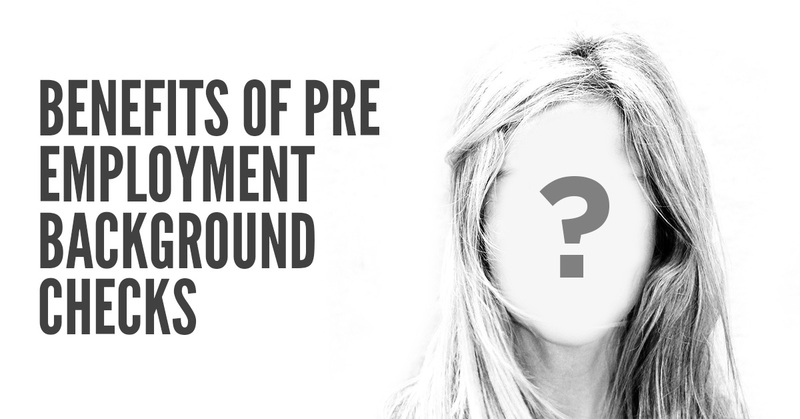 There are many benefits of pre-employment background checks. If you’re not running background checks, then you’re missing out on those benefits. With that said, read on to find out some of the top benefits of running pre-employment background checks. 1. Reduce Violence At The Workplace – Employers want to do what they can to reduce workplace violence, and one of the things they can do is run a pre-employment background check. By doing this, they can identify what applicants will likely act out in a violent way at the workplace. 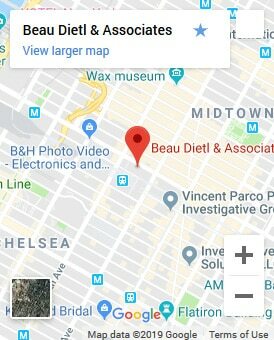 For example, an applicant with a few assaults on their criminal record may be prone to violence at work, and other potential problem areas may be discovered during the background check. The last thing an employer wants to do is hire someone who is violent and could end up costing the company a lot of money in lawsuits and things of that nature. 2. Improve Quality Of Applicants – When you make it known you are going to perform a background check on an applicant, then you can rest assure you will receive the high quality of applicants. This means you’ll increase your chances of getting the applicants you want and then you can decide which ones you should hire. The result will be you having the best workers in your company and you’ll have an easier time eliminating the candidates that are not as qualified as other applicants. 3. Reduce Turnover – By conducting a background check, you can find out which applicants are likely going to stick around and which ones won’t. Furthermore, you’ll reduce your expenses in the long run because the truth is it costs a lot of money to train an employee and if you hire a few bad employees who leave the company within a very short period of time after being hired, then you’ll lose money. All companies want to save as much money as they can and get the most from their investment, including the costs associated with training new employees, which is why running a pre-employment background check should be a priority. Do you want to reduce employee turnover and only get the best applicants? Do you want to reduce workplace violence? The answer to those questions is yes. If you want to do those things, as well as enjoy many other benefits, then start conducting pre-employment background checks on those who apply for jobs at your company. 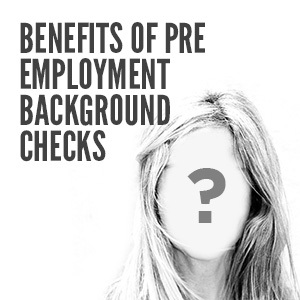 There are many benefits of pre-employment background checks. If you're not running background checks, then you're missing out on those benefits. With that said, read on to find out some of the top benefits of running pre-employment background checks. 1. Reduce Violence At The Workplace - Employers want to do what they can to reduce workplace violence, and one of the things they can do is run a pre-employment background check. By doing this, they can identify what applicants will likely act out in a violent way at the workplace. For example, an applicant with a few assaults on their criminal record may be prone to violence at work, and other potential problem areas may be discovered during the background check. The last thing an employer wants to do is hire someone who is violent and could end up costing the company a lot of money in lawsuits and things of that nature. 2. 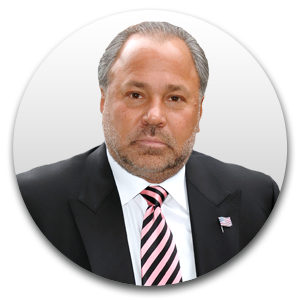 Improve Quality Of Applicants - When you make it known you are going to perform a background check on an applicant, then you can rest assure you will receive the high quality of applicants. This means you'll increase your chances of getting the applicants you want and then you can decide which ones you should hire. The result will be you having the best workers in your company and you'll have an easier time eliminating the candidates that are not as qualified as other applicants. 3. Reduce Turnover - By conducting a background check, you can find out which applicants are likely going to stick around and which ones won't. Furthermore, you'll reduce your expenses in the long run because the truth is it costs a lot of money to train an employee and if you hire a few bad employees who leave the company within a very short period of time after being hired, then you'll lose money. All companies want to save as much money as they can and get the most from their investment, including the costs associated with training new employees, which is why running a pre-employment background check should be a priority. Do you want to reduce employee turnover and only get the best applicants? Do you want to reduce workplace violence? The answer to those questions is yes. If you want to do those things, as well as enjoy many other benefits, then start conducting pre-employment background checks on those who apply for jobs at your company.